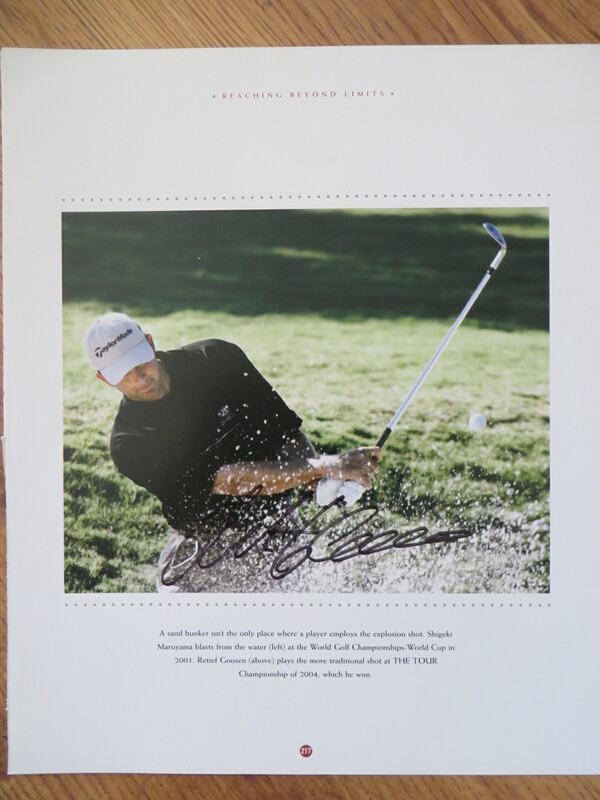 Roughly 10x13 inch golf book photo autographed in black marker by two time U.S. Open Champion Retief Goosen. 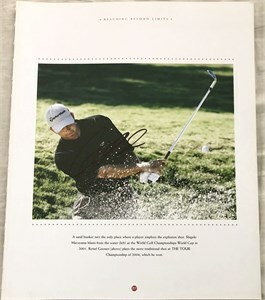 Obtained in person, with certificate of authenticity from AutographsForSale.com. ONLY ONE AVAILABLE FOR SALE.